Most of our floors are PEFC certificated, which indicates that the wood comes from sustainably managed forest. We aim for the perfect balance between the type of wood, grading, colour, structure, finishing and plank size. Some of our floors have knots that are only partially filled, others have knots that are sanded by hand. All this is done to emphasize the liveliness of the wood. By using different treatment techniques such as fuming and special staining, each plank has a unique colour. Thanks to these treatments, we create a lively colour variation between the planks. These effects bring the authentic character of nature into your home. Saw cuts are tangible evidence of pure craftsmanship. The manually applied saw cuts vary both in depth, width and frequency. Not a single plank is identical! A Variano plank consists of multiple small boards and is composed by hand, with eye for details. 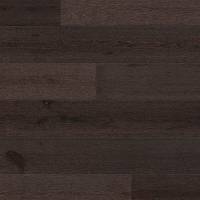 Our reclaimed look of Quick-Step Variano shows saw cuts, height differences and small gaps. A brushed finish accentuates the natural grain of wood and creates an extra authentic feel. Some of our floors look as matt as untreated wood, and are also easy to maintain. Wood with large knots. Lively variation in colour and structure.